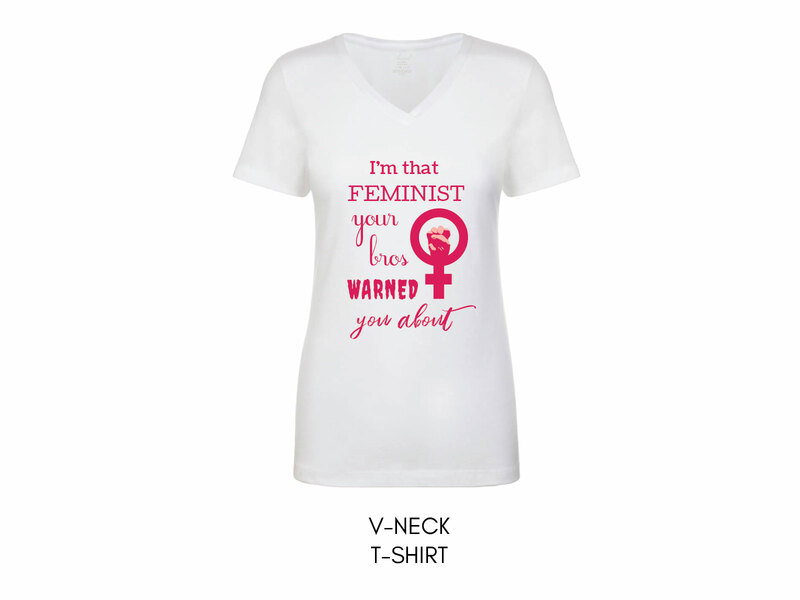 Our Warned You About Shirt Pink is the perfect garment to express yourself if you’re sick of mansplaining, condescendence, and arrogance. 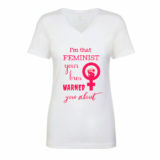 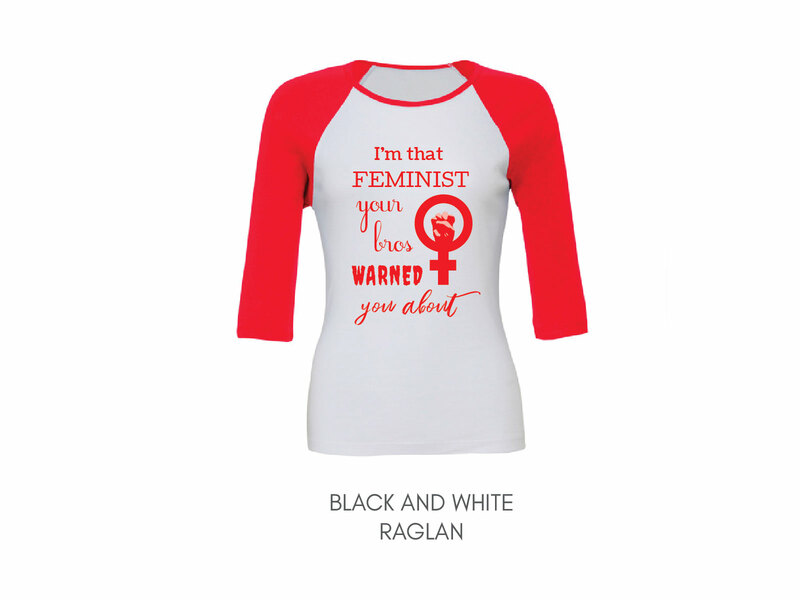 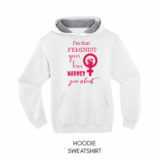 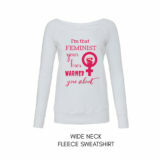 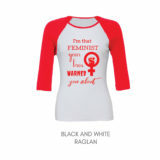 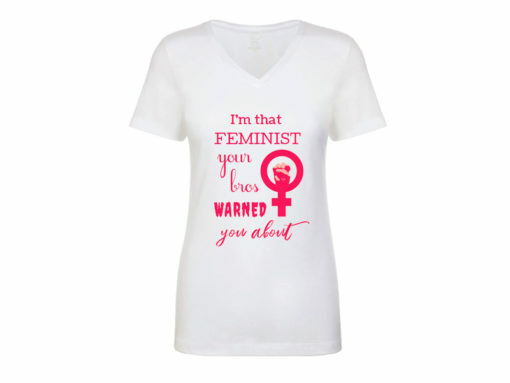 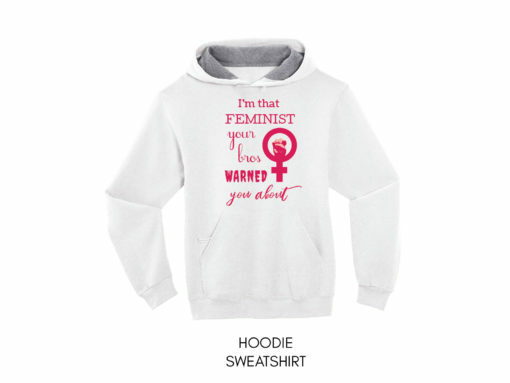 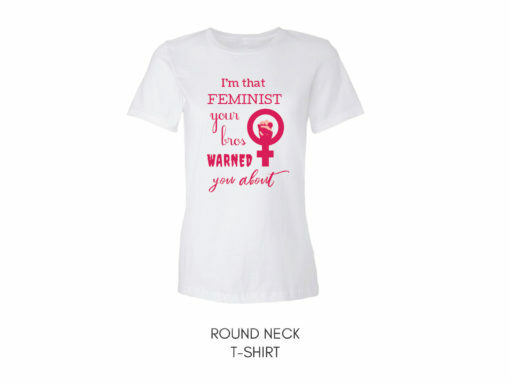 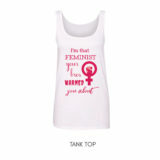 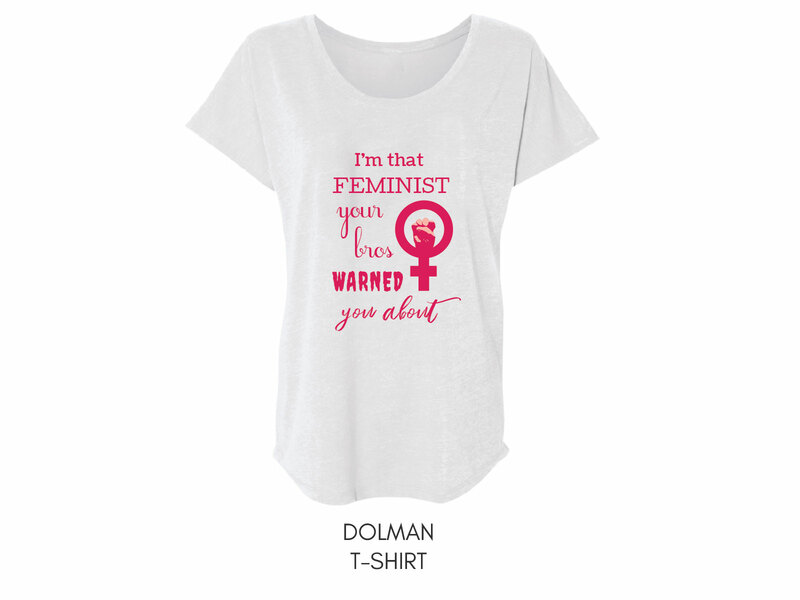 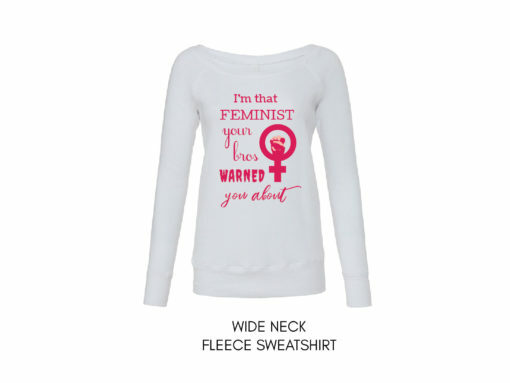 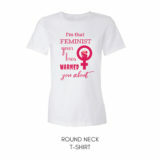 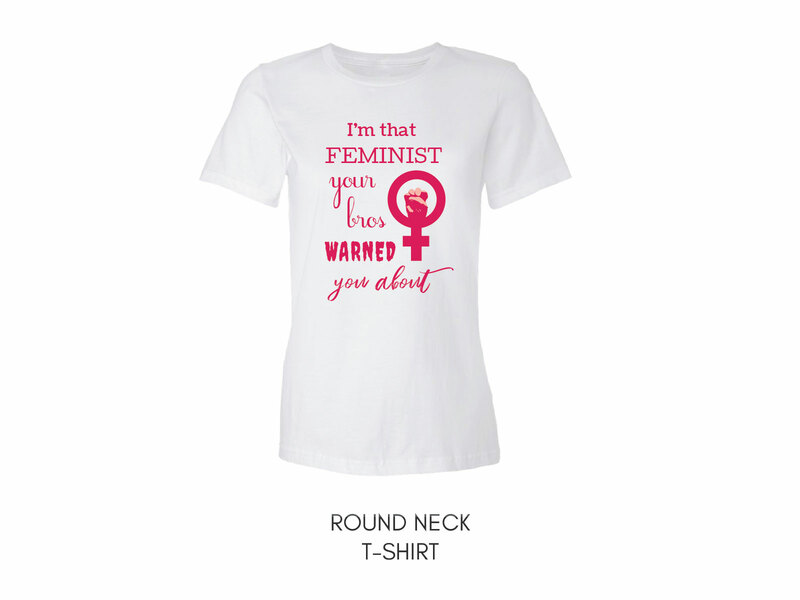 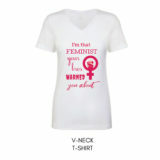 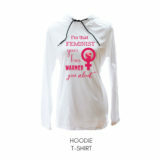 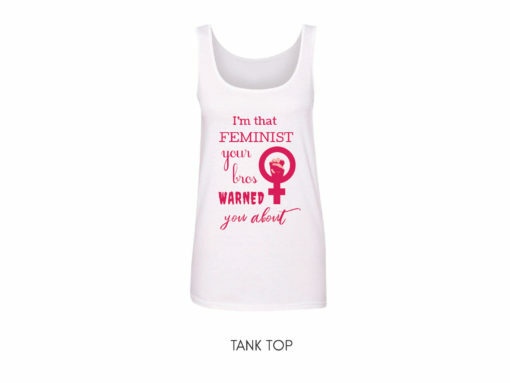 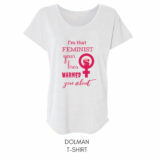 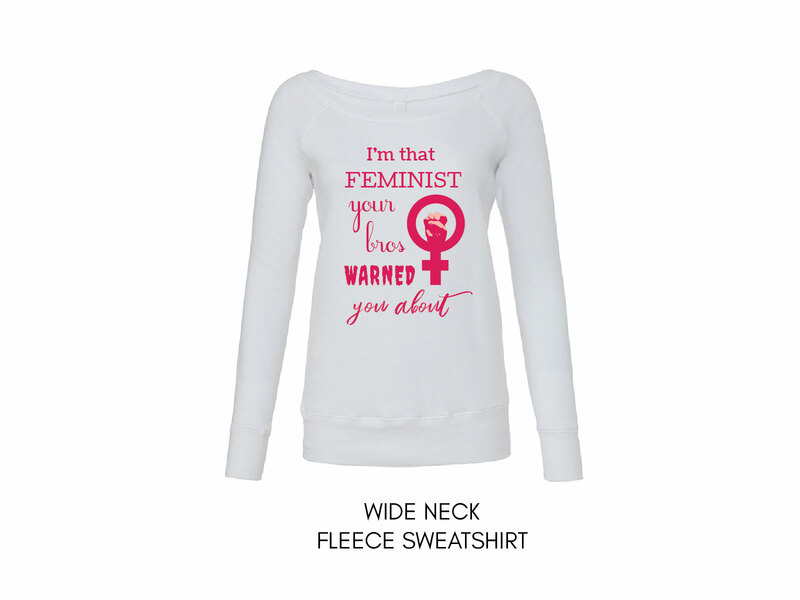 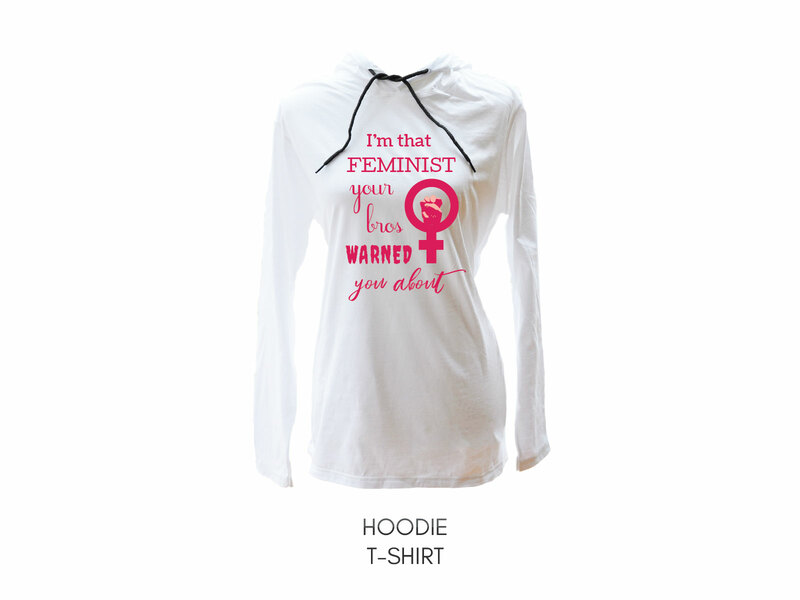 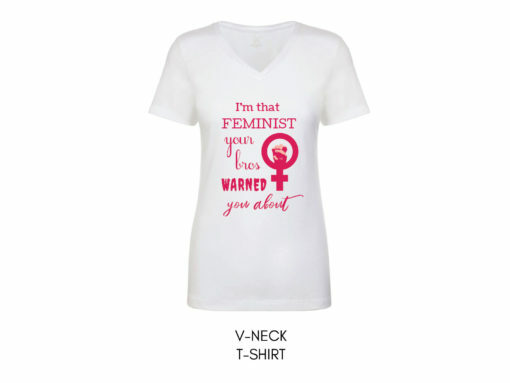 Its print has the phrase “I’m that feminist your bros warned you about” written in pink. Soft, breathable, and gentle on the skin, our Warned You About Shirt is available as v-neck, round neck, tank top, dolman, raglan, long sleeve, hoodie t-shirt, hoodie sweatshirt, and wide neck sweatshirt.